— Had indeed created an engaging and complex universe, with as much potential for enchantment and intelligence, as action and adventure. By just making a few blocks walk, or bike ride (or a short car-drive with a parent)! Many of the stories, at least in their cumulative impact, remain among the best the medium has offered. The characters not only lived relatively near you, but so did their creators! The majority of Marvel’s heroes and villains resided in Manhattan, or its nearby environs, and the editorial offices were in the heart of the great metropolis. 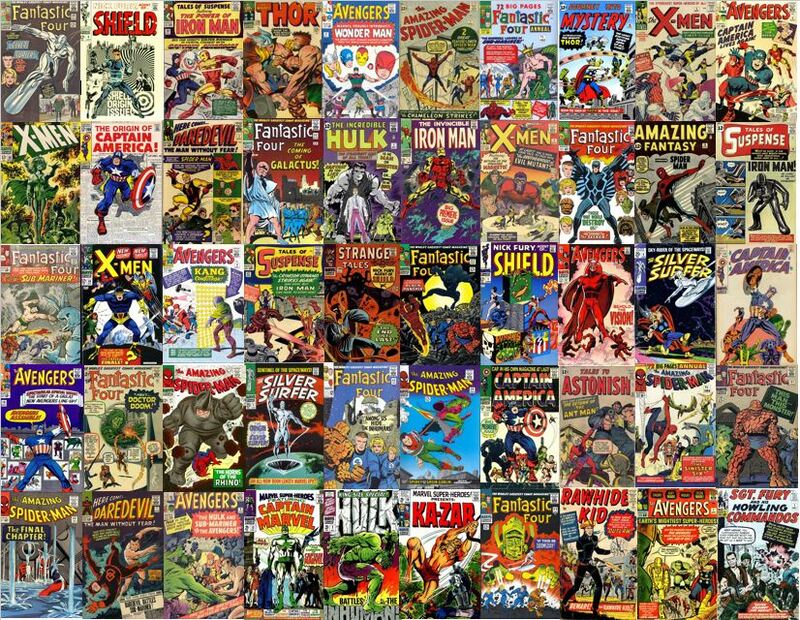 I first discovered the world of Marvel in the same way as millions of other kids, via The Marvel Super Heroes, a daily syndicated half-hour cartoon series, that debuted across the United States in September 1966. 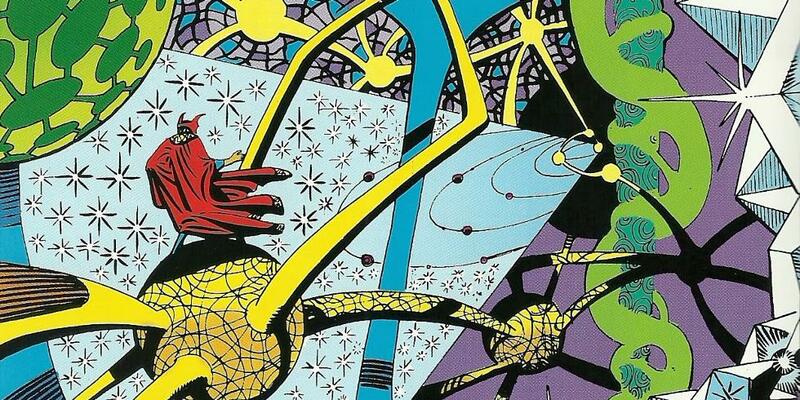 The series featured often primitive animation — even using what seemed like cut-outs from the comics, or colored xeroxes of the same, moving across the screen. 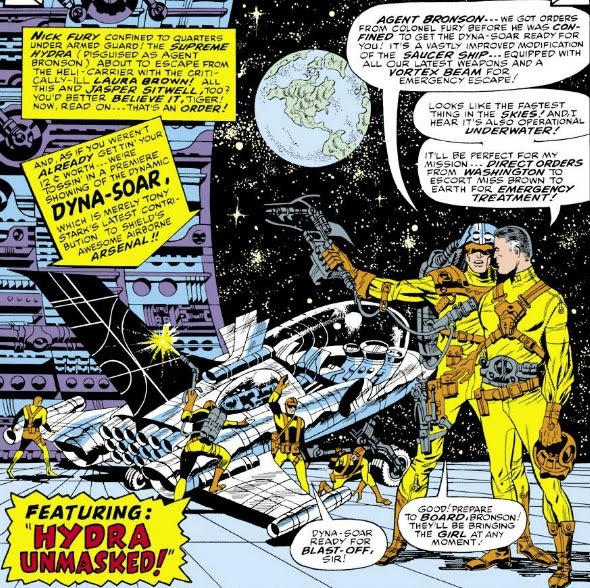 But the adaptations of the Marvel scripts were usually almost exact, and it’s astonishing, even today, to see the era’s artwork come to a certain kind of life, with some particularly good voice acting, and background — if stock — music. 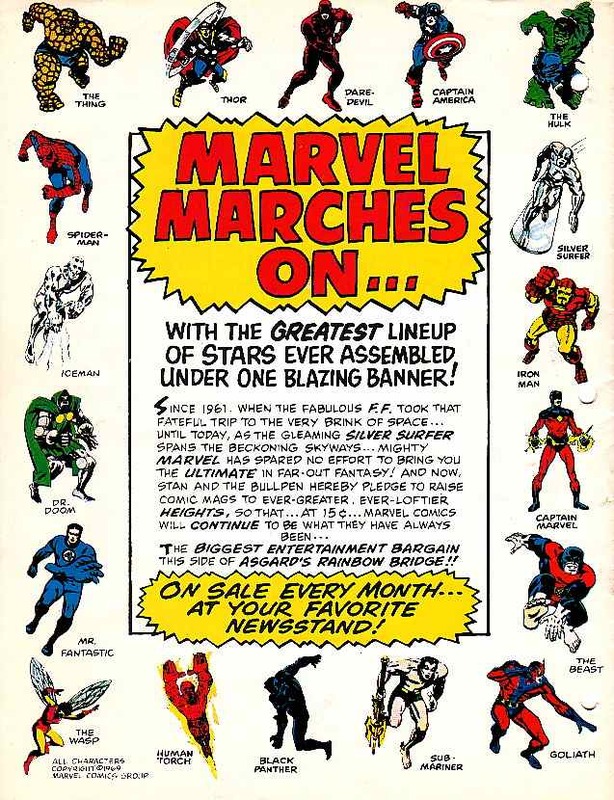 The Marvel Super Heroes’ importance to Marvel as a company, and to the explosion of super hero pop culture across the nation in the mid-1960s is usually ignored, which is odd: Because for the next several years, the program would be the majority of Americans very first exposure, and introduction to Marvel’s unique cosmography. 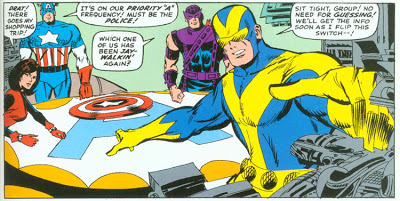 You were able to experience much of the first couple of years of the Marvel universe, before you could even read! 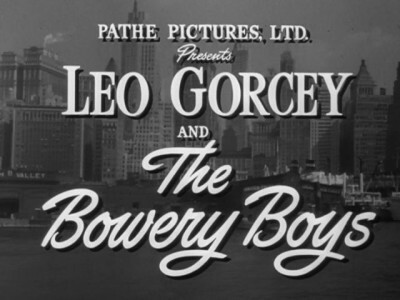 As a four-year old, it was amazing to be sitting in front of the family TV, and see New York City street scenes, and sequences taking place in the suburbs — often with a kind of neat, chiaroscuro effect (as I watched on a black-and-white television!) — taking place within less than forty minutes from where I lay my head. I also loved the DC/National comics characters (Superman, Batman, Flash, Green Lantern, the Atom, Hawkman, the Justice League of America…). As I began to read and become devoted to comics over the next few years, those affections grew even stronger. But there was a bonus to knowing that many of the Marvel folks lived virtually next door! This delightful fancy came full on to me one weekend afternoon in the early 1970s, during one of the very last times – the last time? — my immediate family was in a car together, going somewhere. Anne and Phil Lehrman had been like an aunt and uncle to me, and their daughter, Bettie Jo, was marrying David Chin, in Queens (the New York City borough right between Manhattan’s East River, and Long Island). 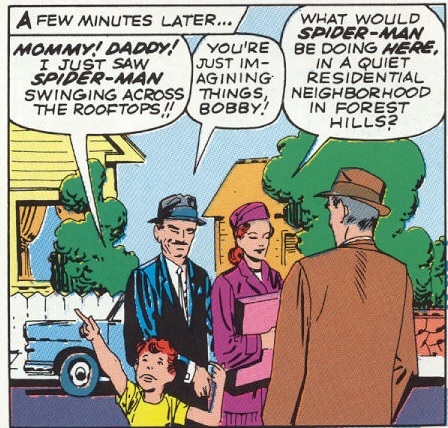 I didn’t expect the Friendly Neighborhood Spider-Man (Parker’s alter-ego) to suddenly be swinging overhead, or even to see his Aunt May out for a stroll. But it was fun to indulge in such whimsy, on what promised to be an even happier afternoon ahead. 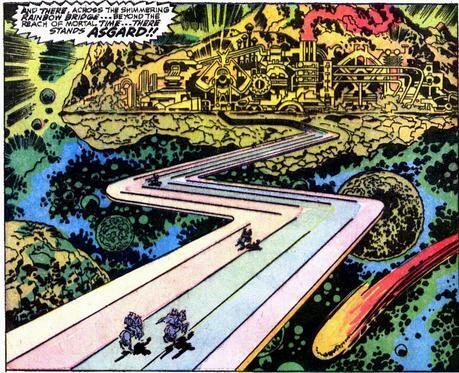 It was even more astonishing to learn, later, that at the time of Marvel’s early ascendancy, I lived directly between the homes of Stan Lee and Jack Kirby, in Nassau County — Lee in Hewlett Harbor, and Kirby in East Willison (near Mineola); both about fifteen-to-twenty minutes distance…. I still haven’t been able to quite process the fact–discovered only about fifteen years ago — that in the late 1960s and early 1970s, the legendary fantasy and comics artist Wally Wood had opened a small studio only five minutes from my family’s place in Valley Stream. As a child, I had walked by that nondescript small building, with absolutely no idea of the delights being devised within! 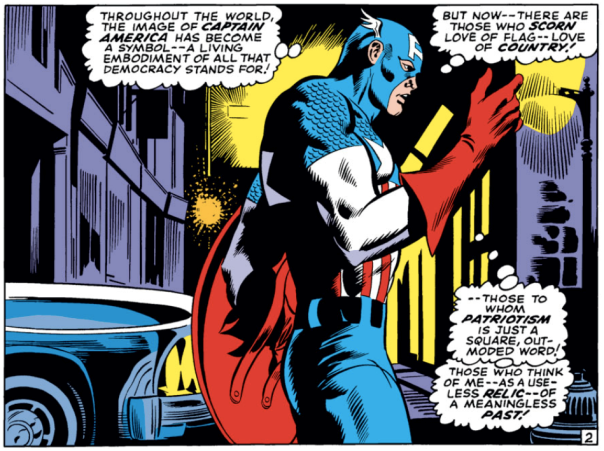 But many of those Marvel comics panels still echo somewhere in my mind. But it’s warm to remember how many of the adventures that so inspired me, transpired here, along the way. And that for those who are only discovering these stories today, it’s all in the future, as so many tales await. 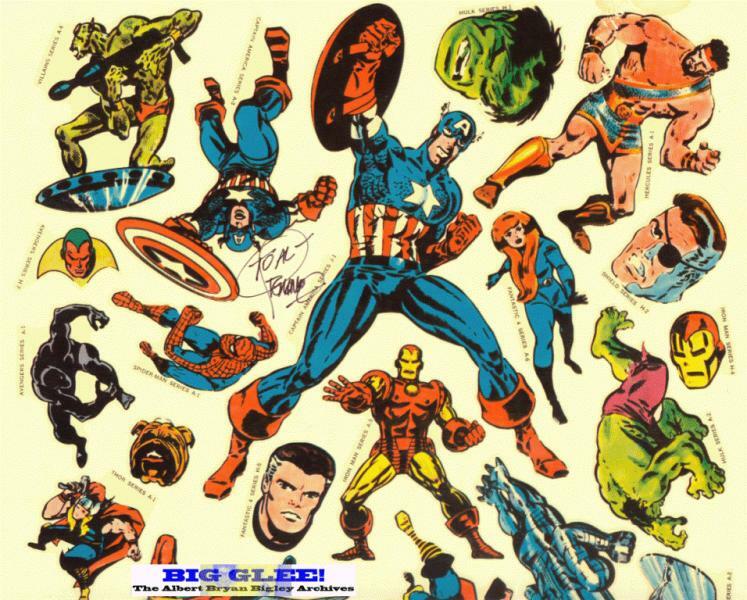 For decades, the rarest piece of Marvel film footage was the opening and closing credits of The Marvel Super Heroes. The title sequences disappeared somewhere during the program’s later rebroadcasts and syndication. When the cartoons debuted on home video in the 1980s, clips from the scenes could be seen in a new montage that began each volume, but the intro and finale were still gone. …Until a few years ago, when some intrepid comics fans (“True Believers,” or “Fearless Face Fronters,” as Stan Lee might have called them!) began somehow finding the films, and putting them online. 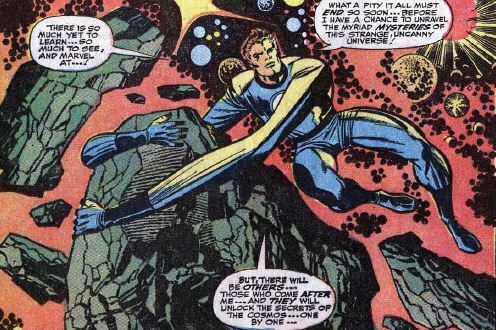 These vignettes are of importance because they were some of the first science fiction or fantasy super hero milieu experienced by the general public. And as to the end titles, how often, to this day, do you get to see a group of dancing titans? As ever-lovin’ Hulk! HULK!! HULK!!! He’s a cool exec with a heart of steel. He’s fighting and smiting with repulsor rays! The God of Thunder, Mighty Thor! The noble Sub Mariner, Prince of the deep. Is the Prince of the Deep. There remains one more “lost” element from the series. The cartoons were actually relatively short, about eighteen minutes in their entirety, which led some stations to initially have the program presented by a host (working from scripts, reportedly, provided by Lee and Siegel, as well using their own material and ad-libs). To “fill out” the half hours, the show included “interstitials,” very short segments (under a minute), explaining a character’s origin, or special concerns. These sequences also disappeared over the years, and only a few have resurfaced. It would be lovely if a historian at Marvel, or its current corporate parent, Disney, could trace the rest of these short films down. It’s not so much, obviously, that they are celluloid jewels, but they still reflect in a very unique way on these oh-so-many beloved fictional lives, and the history of the company they once kept. This entry was posted in Graphic Examples and tagged James H. Burns, Marvel, Stan Lee by Mike Glyer. Bookmark the permalink. 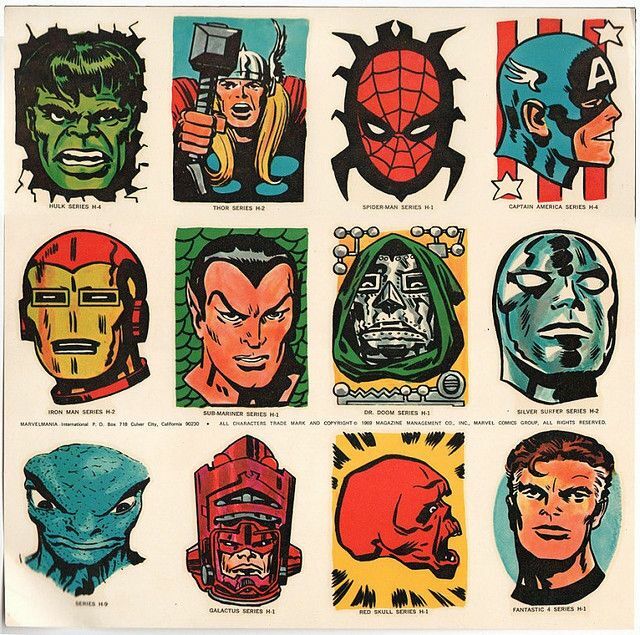 “Comics will break your heart, kid.” –Jack Kirby. I lived in Colorado, my cousin lived in Texas. Together, we were superheroes operating out of California. In one adventure (we wrote scripts in the letters we sent each other) we went to NYC, and thought we saw Spiderman off in the distance. Verified it too, on a pocket monocular from Edmund Scientific with which I was infatuated at the time. I'[m going to hae to take a few hours t go through all this stuff. Thank you. ALL of these clips are from ONE 1966 series! 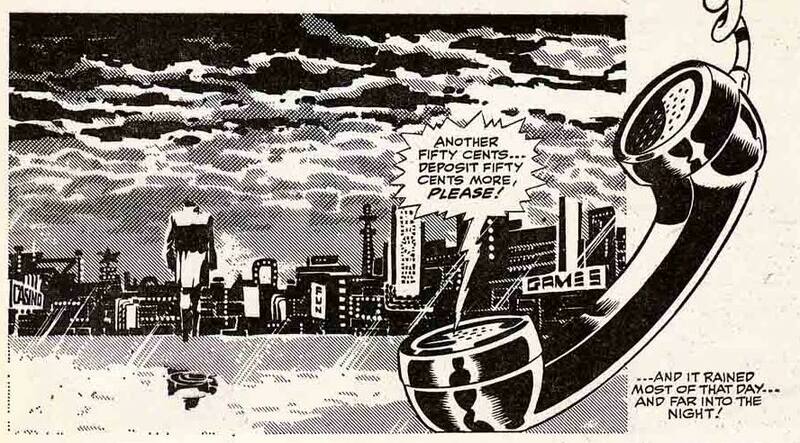 …A series that had been, as pointed out, sort of overlooked in terms of the history of the media genre. Another sublime walk down memory lane, Jim. Simply lovely. You are, at heart, a family man…whose family consists of animated heroes and super marionettes. That’s a fairly imaginative conglomeration of in-laws, my friend. Your work is, as ever, Marvel – ous. 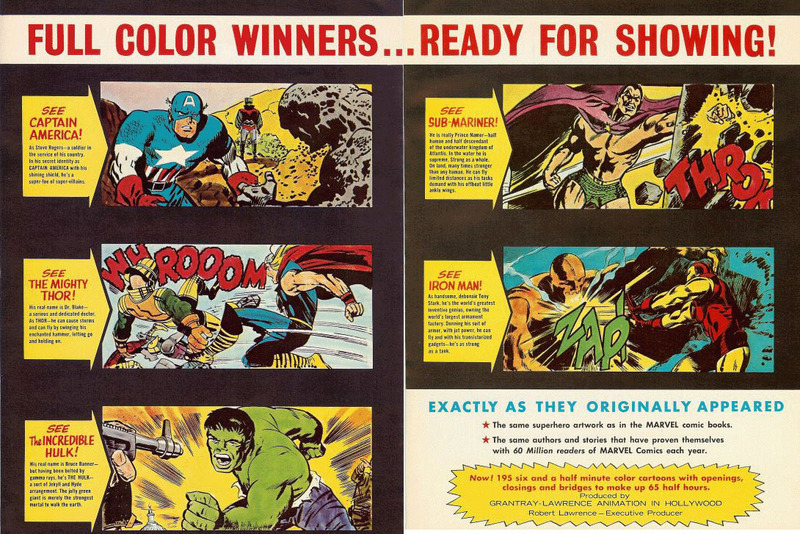 The Marvel Comics of the 1960s successfully captured the youthful optimism of the period, and made fans feel like a part of the burgeoning “Marvel Age of Comics”. That sense of enthusiasm and camaraderie was cleverly expressed, albeit a bit tongue-in-cheek, in the words of the “Merry Marvel Marching Society” song heard during the closing credits of the Marvel Super Heroes series (see the clip above, posted by Jim). The MMMS membership kits sent out in 1967 (for just a buck!) included “Scream Along with Marvel”, a 33 1/3 flexible disc recording containing both “The Marvel Super Heroes Have Arrived” (the opening theme for the 1966 cartoon) and the complete version of The Merry Marvel Marching Society song.